An inspired spiritual teacher offers a course on grieving that transcends the constraints of Western thought and conventional mental health practice. The first part offers a universal paradigm for grieving--grief is healed when we are fully aware of it and become connected to the losses and human needs of others. The second part is a set of 100 affirmations, exercises, and insights that Chopra asks us to think about and put into daily practice. 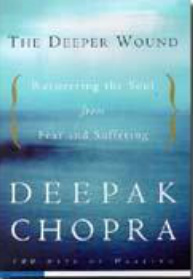 As a spiritual leader on this or any subject.Chopra has few peers.